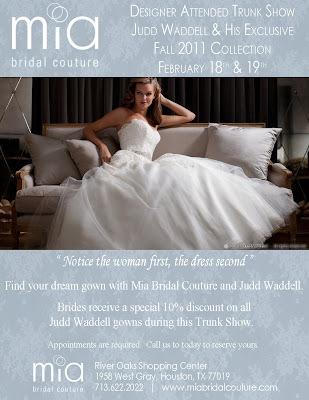 Mark you calendars ladies, one of the best designers in the wedding world is going to be at Mia Bridal Couture. 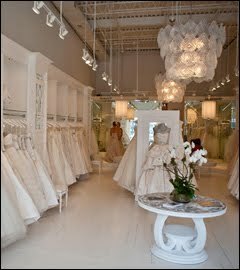 Mia Bridal Couture is one of the best bridal boutiques in Houston. So you will be assured to receive the most personally fulfilling experience when picking out the dress of your dreams. Emily and her staff are highly trained to assist you in selecting the dress best fit for your style and shape. Emily works directly with the designers to know every detail of the structure of the gowns. Judd Waddell is best known for his classic designs that are flattering, with many organza and lace silhouettes. If you happen to be a bit larger in the chest region, his strapless gowns are designed for fuller coverage.